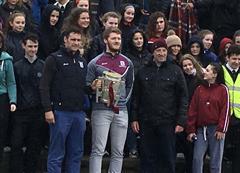 Transition Year (TY) at St. Brigid’s College is an optional one-year programme taken after Junior Cycle and before the two-year Leaving Certificate programme. 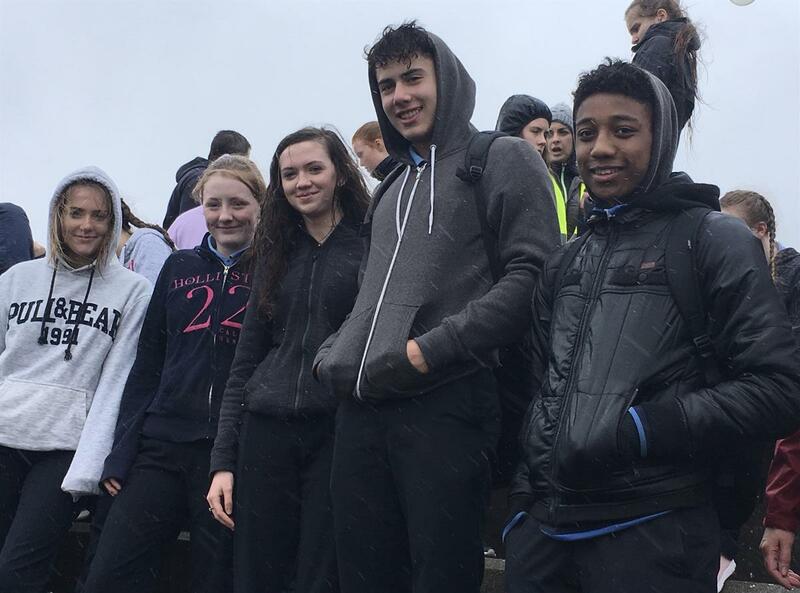 It is designed to act as a bridge between the Junior Certificate and Leaving Certificate programmes. 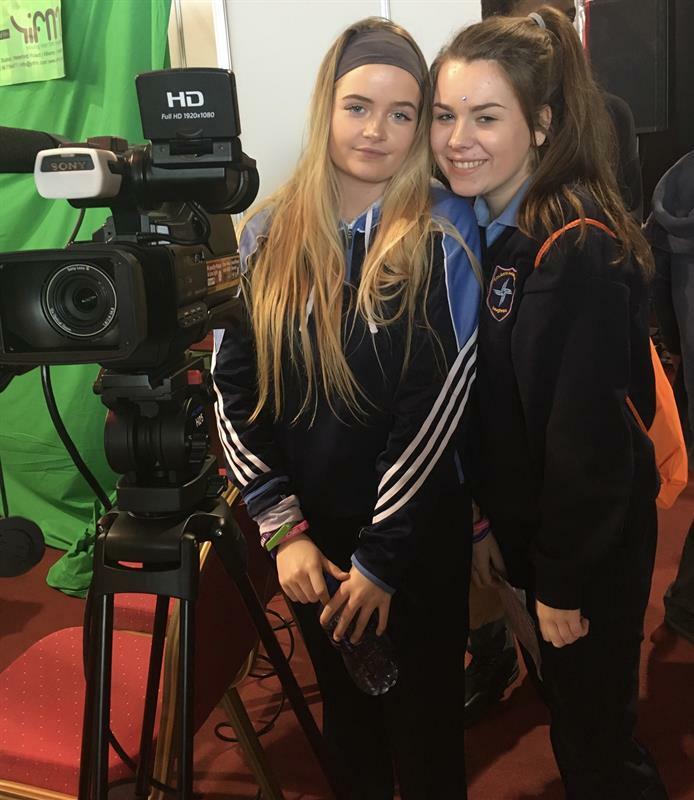 Transition Year promotes the personal, social, vocational and educational development of students and prepares them for their role as autonomous, participative and responsible members of society. What is the purpose of the Transition Year Programme? 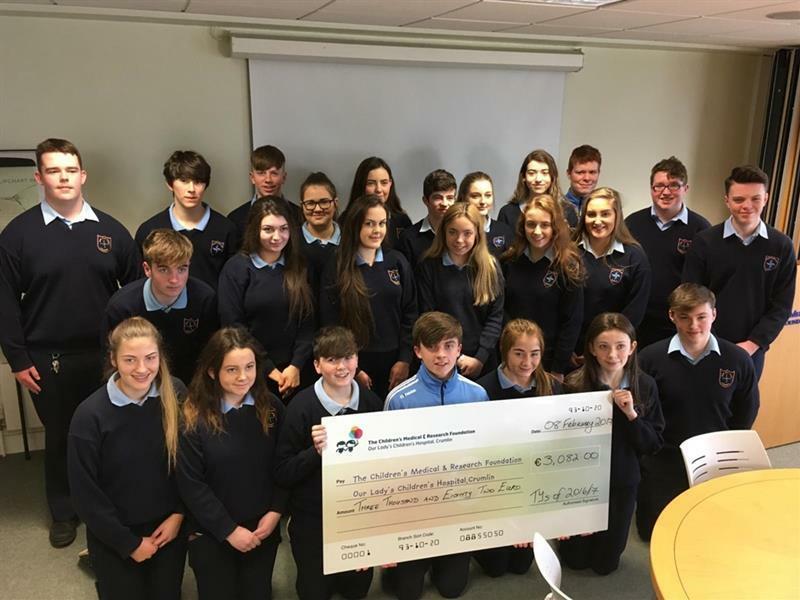 Picture below are Transition Year students from St Brigid’s College Loughrea who presented a cheque for €3082 as a result of their fundraising activities to the management of Crumlin Childrens Hospital Dublin last week while on a school visit to the Hospital. Back Row: L to R: Mark Daniels, Jack Lawrence Flannery, Graham Curley, Ali Mc Gonnell, Emer Shaughnessy, Sean Fahey, Zoe Broderick, Leah Mc Grath, Jonas Baur, Eric Downey and Andy O' Connor.Middle row: L to R: Damien Mc Glynn, Selina Murphy, Stephanie Broderick, Rebecca Mc Ghee Ruane, Leah Manning, Saoirse Starr.Front row: L to R:Laura Headd, Erin Whyte, Shane Skelly, Ronan Mitchell, Arlene Earls, Sarah Coen and Cathal Gaffney. Transition Year students from St Brigid’s College Loughrea presented a cheque to the value of €4040 as a result of the fundraising activities to Our Lady’s Hospital for Sick Children Crumlin at a presentation ceremony held recently at the school. 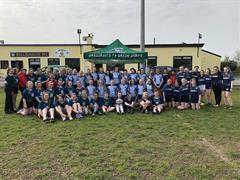 Twenty five students were involved in the project and the money was raised by a number of means, most notably a bucket collection in Loughrea town and a Christmas Fair held in the school’s sports hall. Rachel Daly accepted the cheque on behalf of the Hospital and highly commended the students and their teacher Ms Linnane on their fantastic achievement, and the students were presented with a special gold medal on the day in recognition of this major achievement. An invitation was extended to the students and their teachers to visit the Hospital and see how this money will be spent and this visit will take place on April 26th. 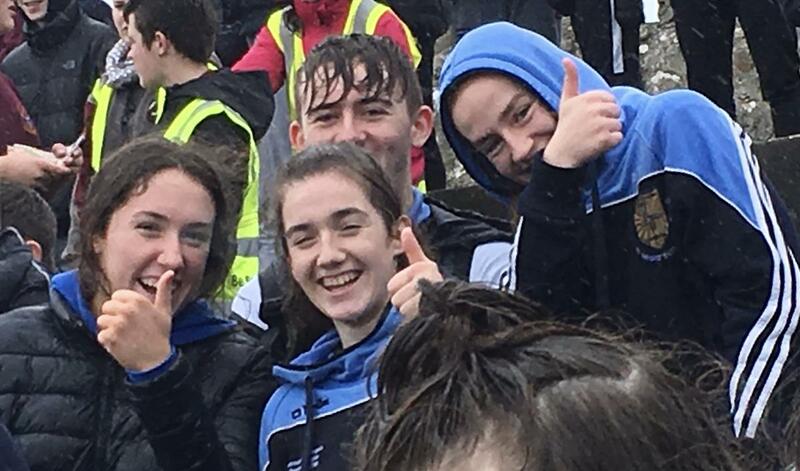 The Transition Year students at St Brigid’s College would like to thank all in the school and local community who supported their fundraising initiatives. Pictured at the Presentation of a cheque by Transition Year Students at St Brigid’s College for €4040 to Our Lady’s Hospital, Crumlin are L to R: Conor Flanagan, Shonagh Gilligan, Dylan Daly, Rachael Daly (Our Lady’s Hospital, Crumlin), Eva Prendergast, Rachael Gacquin, Eimear Loughnane, Ms Mary Linnane and Mairead Loughnane. 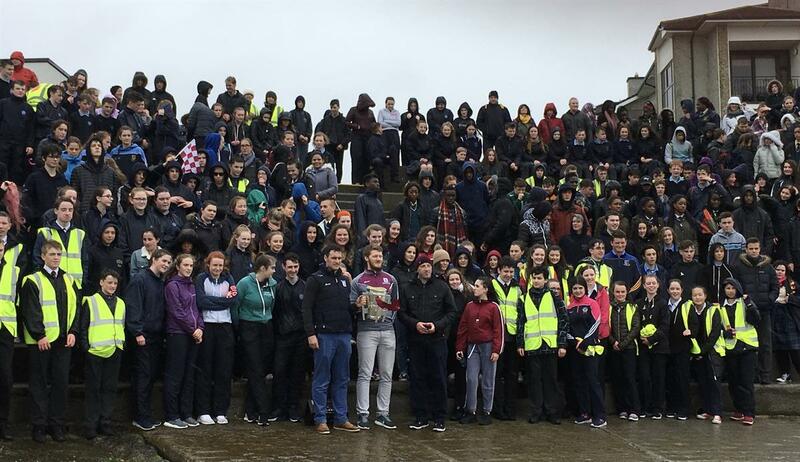 A number of Transition Year students got involved in Fundraising for the Pieta House Charity in conjunction with the Galway2Norway Land Rover charity drive. THE Galway2Norwaygroup aimed to raise €20,000 and with the small help from St. Brigid’s College students, the group managed to raise in excess of €27,000 for the charity. Events took place in school such as a Movie day and Bucket Collections were also held. Congrats to all involved on raising some much needed funds for a very worthwhile charity.